Over the past few weeks, we’ve taken a look at Jane Smith’s campaign for City Council. We were there when she started collecting and compiling all of her relevant election data into a single database, and last week we looked at the various moving parts that make campaigns unique. This week we’ll take a look at how everything comes together during the Get out the Vote (GOTV) phase of a campaign. 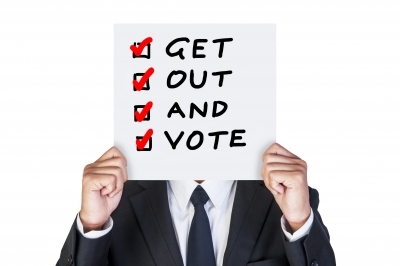 Elections are unique in that they are generally winner-take-all contests, but businesses can learn many lessons from the strategies at the heart of any good GOTV plan. Your GOTV plan is only as good as the data it’s built on. I learned this lesson the hard way during a race I worked a few years back. A third party group had made voter identification calls in support of the candidate I was working for, and the data we got back from the calls looked great at first glance. Unfortunately, their coding system conflicted with ours, and when we combined the two data sets and began using the new data points in the field, problems quickly became apparent. All of a sudden, our team was contacting voters who were unlikely to support our candidate. These voters were coded as “Strong Supporters” in our system, but were from an opposing ideological stance on the political spectrum. The calls and conversations at these voters’ doors did not go well. So how did we get ourselves into this mess? Simple: the code we used to denote strong supporters was the same code this third-party group used to identify voters who either a.) refused to talk to the person making the phone call, or b.) were supporting our candidate’s opponent. Once we identified the problem that created issues in our data, we simply back tracked to the last time our list was clean, re-coded the third party’s data, and re-combined the lists. But even though the problem was easy to fix, we’d lost precious time during the final days of the campaign. So what’s the lesson here? Always, always, always be careful with your data. This story isn’t about me, though. It’s about Jane. Thankfully, Jane and her campaign made it through the identification phase of her campaign without any data coding errors. As Election Day approaches, from her database she pulls a list of voters who are identified supporters of her campaign, but unlikely to vote based on their past voting history. These are the voters the can make the difference between victory and defeat, and they will be receiving the bulk of Jane’s attention heading into Election Day. As Election Day dawns, Jane feels confident. She knows that she’s done everything she can to be assured of victory, including meticulously collecting the data from her conversations in her custom database. Jane spends the day calling voters who are unlikely to vote to encourage them to vote and offer them rides to the polls. The results sound promising. Even though she can’t convince all of them to get out to the polls, many of them tell Jane that they’ve already gone and voted for her, or that they have a plan to do so later that day. Jane is cautiously optimistic. At the end of the day, Jane is exhausted but hopeful. As results begin to roll in, it becomes obvious: she won! As I said before, campaigns and business differ in many ways, but there are lessons they can learn from each other. If you’re about to launch a new product, open a new location, or host a major retail sale, the behind-the-scene mechanics used to increase your chances of success are very similar to a campaign’s GOTV process. Gathering reputable data and storing it with the help of a custom database (like the ones DragonPoint, Inc. has decades of experience building) can mean the difference between successfully communicating with likely customers, and wasting your money talking to people who don’t want or need your product. In the end, it’s all about trusting your data, and trust—in this case—is built on strong database solutions.